WESTSIDE NURSING offers personalized, professional, compassionate Hospice Care for the terminally ill and their families. The WESTSIDE NURSING Hospice Care philosophy recognizes that death is an inevitable part of nature and strives to make that process as peaceful and pain free as possible. WESTSIDE NURSING Hospice caregivers are specialists trained in palliative care whose primary concern is the dignity and comfort of the patient. 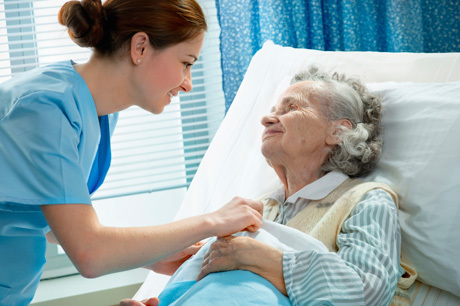 WESTSIDE NURSING’S palliative care services can be provided at home or, in hospital or, in other suitable locations. Caregivers monitor and manage the patient’s condition, administer medications and communicate with the patient’s physician and family as appropriate.